Marvel Comics Legacy & April 2018 Solicitations Spoilers: A Retro X-Men Team Returns & It Explains The Cable Change! A Retro X-Men Team Returns! This kind of explains by the Cable series changed so quickly from a time traveling story under writer James Robinson to something else under a new creative team. As is Marvel’s way, it is not clear if this is a mini-series or ongoing series. 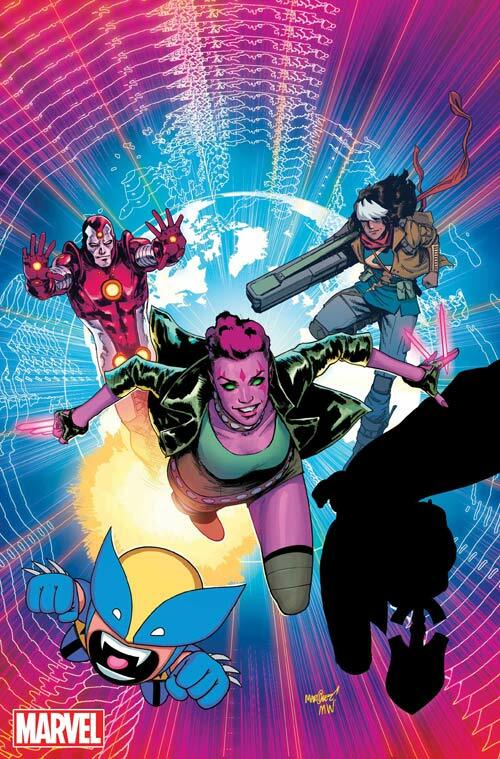 The team consists of Blink, Old Kamala Khan, Iron Lad and more in the employ of Nick Fury. Sr. aka the Unseen.